Six people, including two children at a baby shower were shot Saturday evening in the West Englewood neighborhood. NBC 5's Kate Chappell has the latest. Six people, including two children, were shot while celebrating a baby shower Saturday evening in the West Englewood neighborhood, authorities said. The incident occurred around 6:21 p.m. in 6300 block of South Seeley Ave., according to Chicago police. Authorities said two of those individuals were children; a 10-year-old girl who was shot in the shin and an 8-year-old boy who was shot in the chest and back. Both were taken to Comer Children's Hospital and remain in stable condition, police said. A 29-year-old woman who was shot in the shoulder and chest area was taken to Christ Hospital in critical condition, along with a 42-year-old man who was shot twice in the hip, officials confirmed. Two other males, a 23-year-old shot in the left foot though in stable condition and a 28-year-old shot in the right shoulder, were taken to Holy Cross Hospital. The 28-year-old was later transported to Mount Sinai Hospital for further evaluation. “Detectives have been working around the clock since the incident to get a handle on what exactly happened,” Guglielmi said in a statement released Sunday. Individuals on scene are not being cooperative with detectives. Shooting occured at a family gathering. Guglielmi also mentioned on Twitter that individuals on the scene were not being cooperative with detectives Saturday. Officials say at the moment, no offenders have been taken into custody. 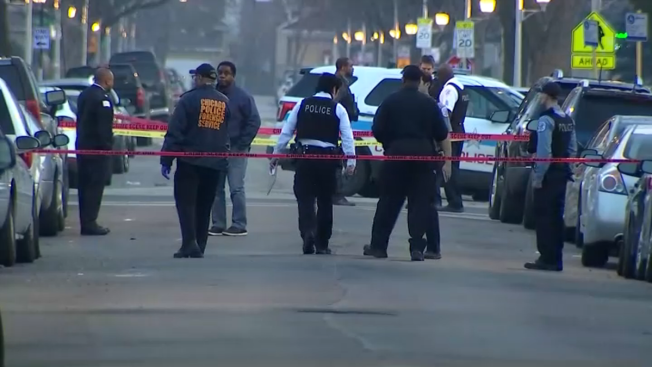 Mayor-elect Lori Lightfoot tweeted a statement early Sunday morning saying, "I'm heartbroken by the news of a shooting in West Englewood yesterday. No parent should fear for their child's safety. We must stop the epidemic of violence in our city and take care of victims & witnesses, who continue to experience trauma long after these devastating events."